High-end products have complex functionality and all the desired features need to work optimally. The device must be available on demand, but not overheat. It must be beautiful, lightweight and slim, yet endure rough handling. Its sound and music should be clear and powerful, its usage convenient and safe, and it should not disturb – or be disturbed by – other wireless applications. Manufacturing high-end products requires fast, cost-effective development cycles – and timely product launches are crucial. Rigorous simulation in the early phases of your product development cycle will ensure success. Convergentia offers simulation-powered insight, enabling you to make genuinely fact-based business decisions. Our antenna team has developed antenna solutions for a broad range of devices, from tiny Bluetooth headsets to the complex LTE antenna systems used in smartphones and tablets. We can integrate antennas into your device with no compromise on industrial design whether it has plastic or metal covers. One of our strength is our enthusiastic personnel, who combine long experience with eagerness to learn. We believe that collaborative teamwork creates the ideal environment for innovative antenna solutions. Modern antenna design involves hundreds of simulation rounds. 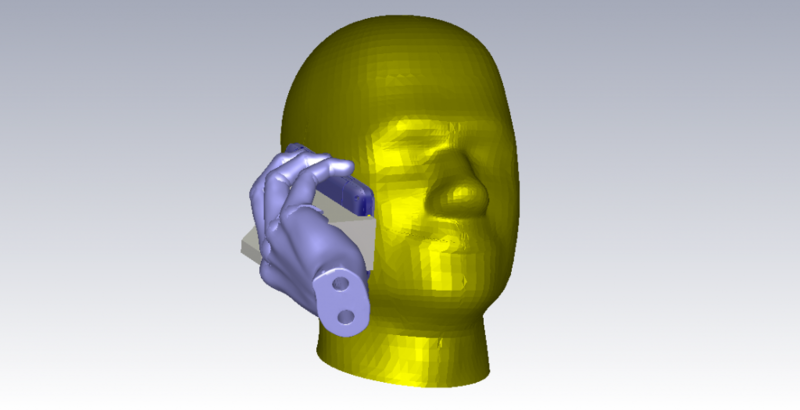 Efficient simulation-assisted design methods allow us to tune and evaluate multiple antenna solutions simultaneously. This means we can choose the ideal technology for your product. 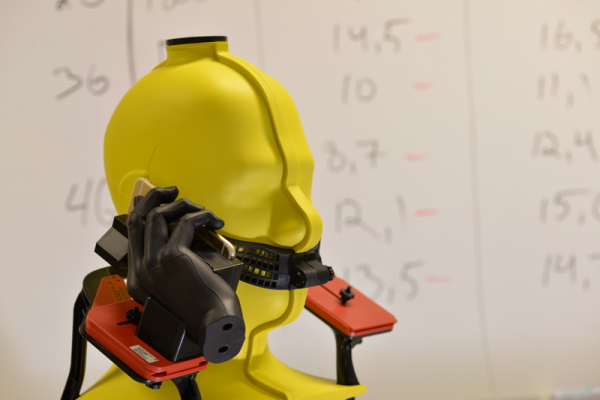 With the right tools, correct modelling and skilled designers, we produce simulation results that correspond superbly with the device measurement. Convergentia simulation tools allow the OTA performance of a device to be estimated early in the product development process. We design custom antennas so that they fulfill operators’ requirements and comply with SAR regulations. 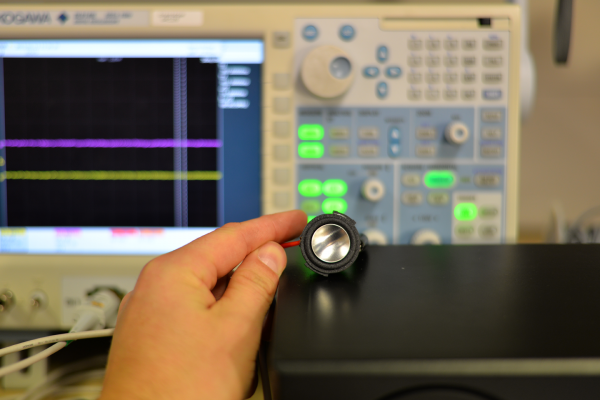 We have a fully equipped laboratory for preparing devices and tuning antennas for measurements. 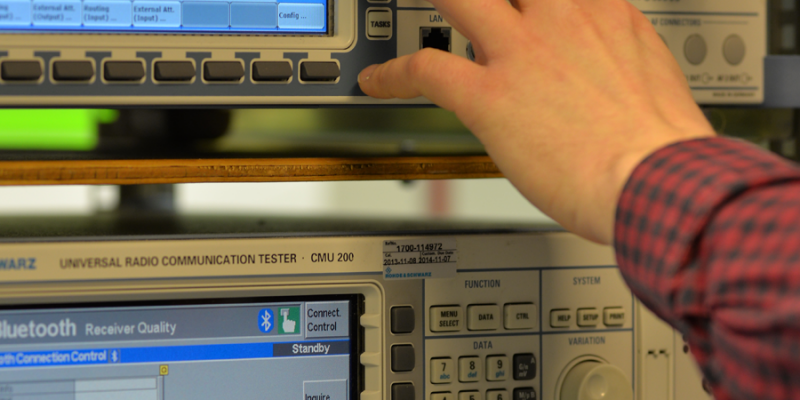 Communication testers, network analysers, spectrum analysers, microscopes, and soldering stations – we have them all. Our Satimo Starlab measurement chamber covers frequencies from 600 MHz to 6 GHz. 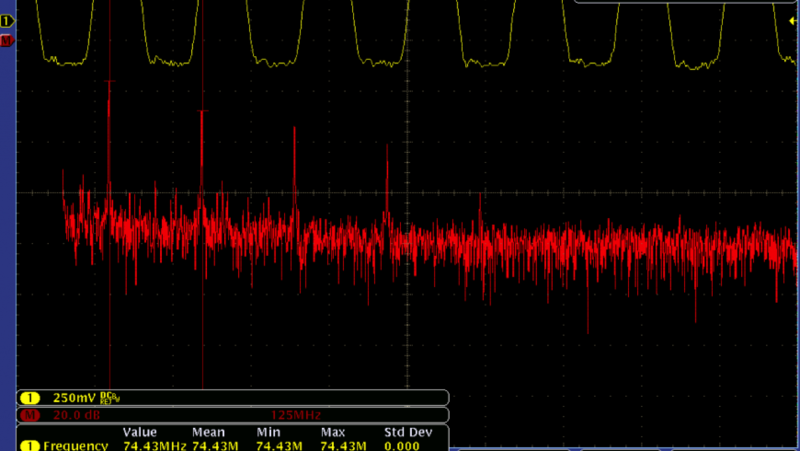 In addition to passive measurements, we are capable of measuring LTE and Bluetooth TRP/TIS, among others. The device analysis lab is an important part of our operations. 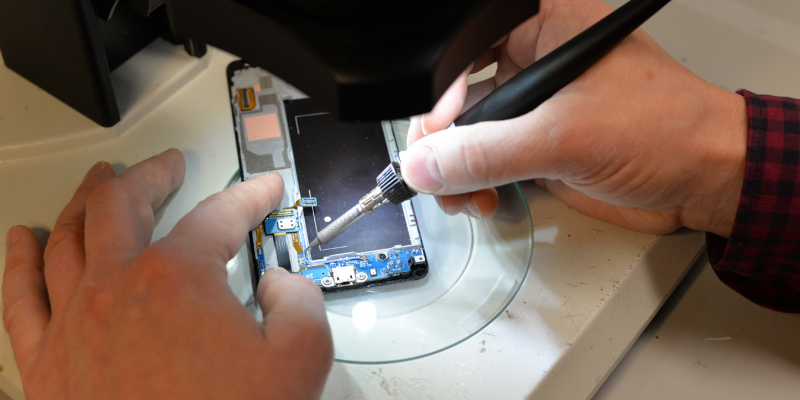 We have long experience of studying different device concepts and conducting non-destructive teardown studies for a variety of purposes. 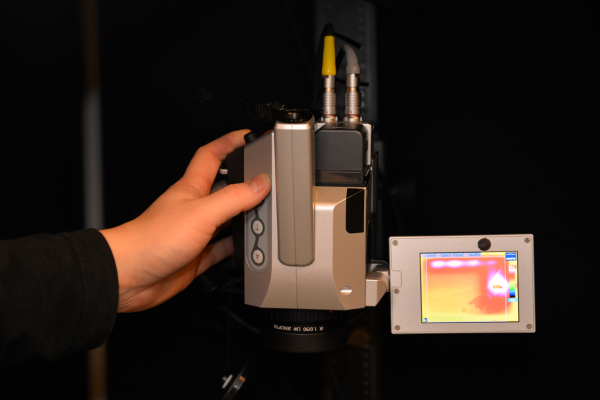 To complement our extensive teardown studies, we have the capability to do X-ray imaging using partner resources. Through our manufacturing partners, we are able to offer the optimal antenna manufacturing technology for your needs. The technologies we have available range from simple flex film antennas to the newest printable 3D antennas. To complement our own Satimo-based antenna measurement system, our partners work with us to perform official OTA certification measurements for cellular, Wi-Fi and A-GPS, as well as SAR compliance testing. We have an insider’s view of state-of-the-art impedance matching solutions and we use them extensively in our designs. Our network of partners gives us access to the very latest switch, tuner and passive component technologies. When simulations are carried out properly, it cuts the number of prototype rounds and the overall device development time. There are two reasons for this: Firstly, there is no need for mechanical or PCB changes due to antenna performance issues. Secondly, because all the antennas work after the build, other areas can be tested without the need to wait for the antenna designers to get the antennas working first. 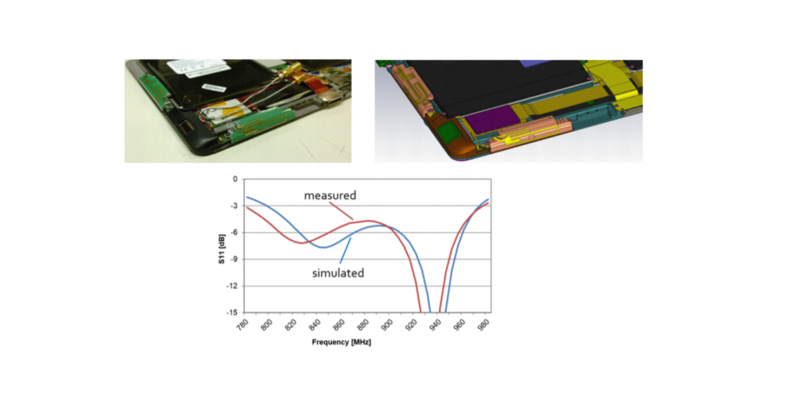 It is still widely thought that 3D simulations cannot accurately predict antenna performance in tightly integrated devices. From our experience, the discrepancy is mainly due to the differences between the simulation model and the prototype. Getting good correspondence between simulations and measurement results is not trivial. We make use of our experience and expertise to model the critical parts with sufficient precision while keeping the simulation time reasonably short. We utilise the most up-to-date tools on the market and we actively develop new methods to improve our efficiency. This means lower costs, better accuracy and faster product development time. 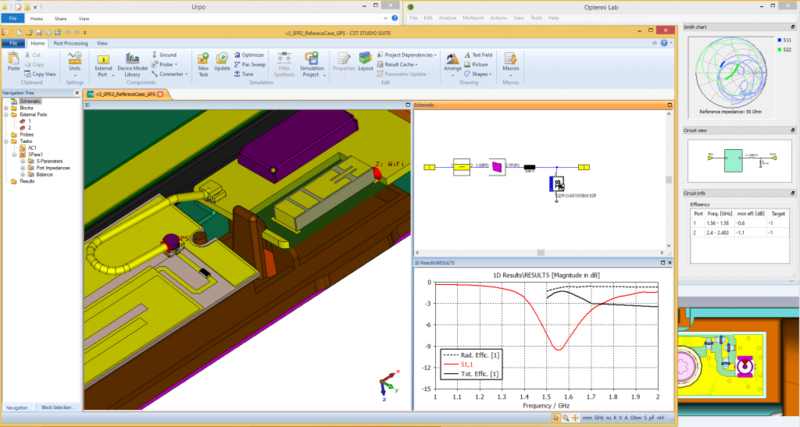 At the core of our operations is simulation-assisted design using powerful workstations. 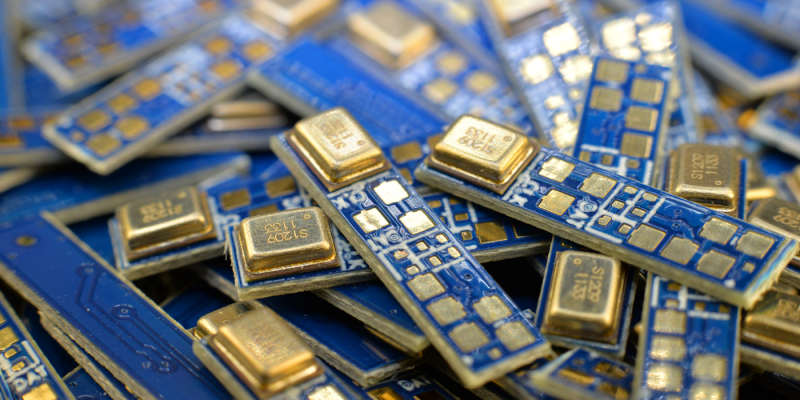 Our secret lies in the methods we have developed – we can simulate how your wireless device will perform at a very early stage of the product development process. Our simulation environment includes comprehensive material, component and macro libraries to facilitate accurate, efficient accurate simulations. We have developed a custom post-processing tool called UrPo for data analysis and over-the-air estimates. After the concepting work is done, we can use our antenna laboratory and Satimo Starlab for prototyping and design verification. Convergentia antenna engineers are advanced users of CST Studio Suite, NI AWR and Optenni simulation tools. 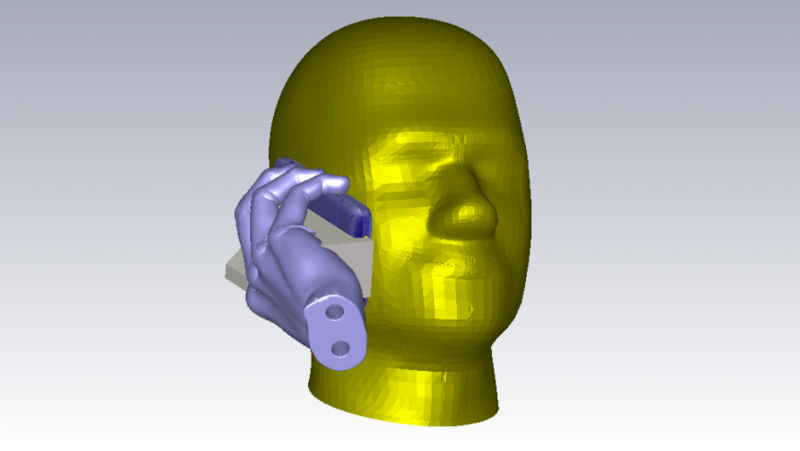 We follow CTIA test plans to align and evaluate devices with head and hand phantoms. 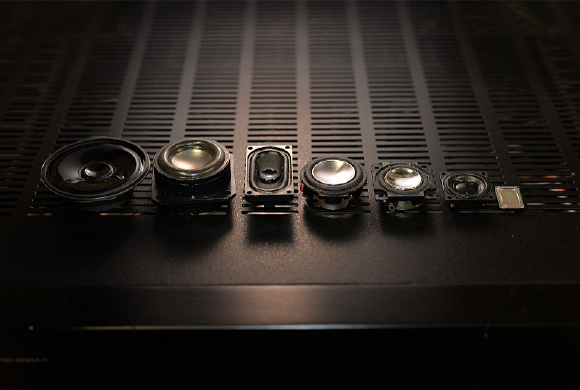 Our audio team has a comprehensive knowledge of the complete audio chain. Typical customer applications include smartphones, tablets, accessories and industrial equipment with audio features. Our expertise ranges from system architecture concepting and component selection to audio hardware design and integrated acoustics. We have strong experience of optimising software parameters. Our services also include AV design, building acoustics, and noise control for the construction industry. Our flexible working process ensures that the scope of the project is tailored precisely to your needs and the available resources. Our experts can work as team members in your project, or we can deliver independent audio subsystem designs. 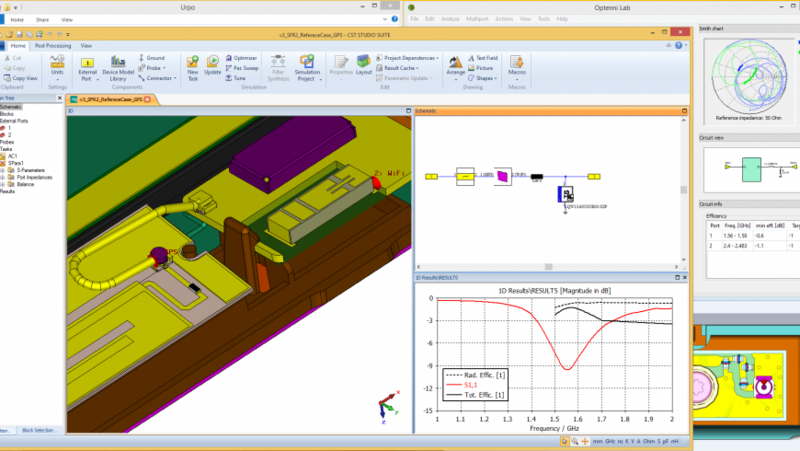 We have the tools to review customer 3D CAD files and propose design changes. 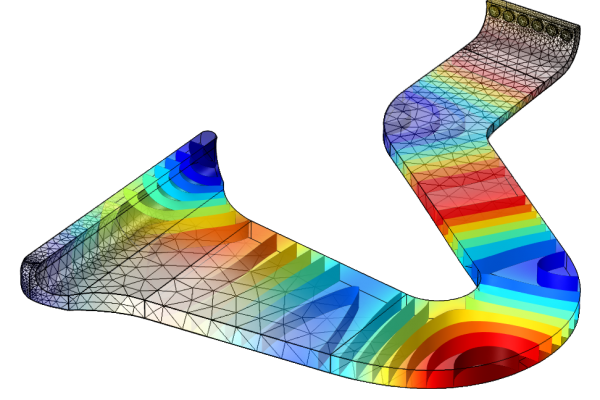 Numerical simulations help us to create innovative concepts ready for prototyping and testing. 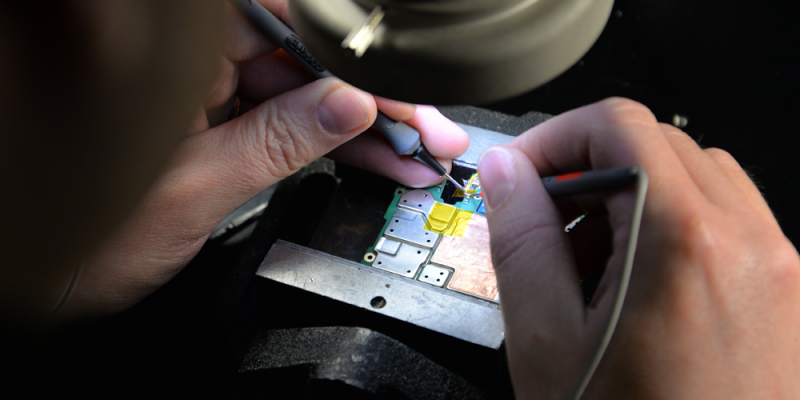 Our in-house prototyping facilities enable us to quickly prepare device mechanics, audio components and circuit boards for testing. 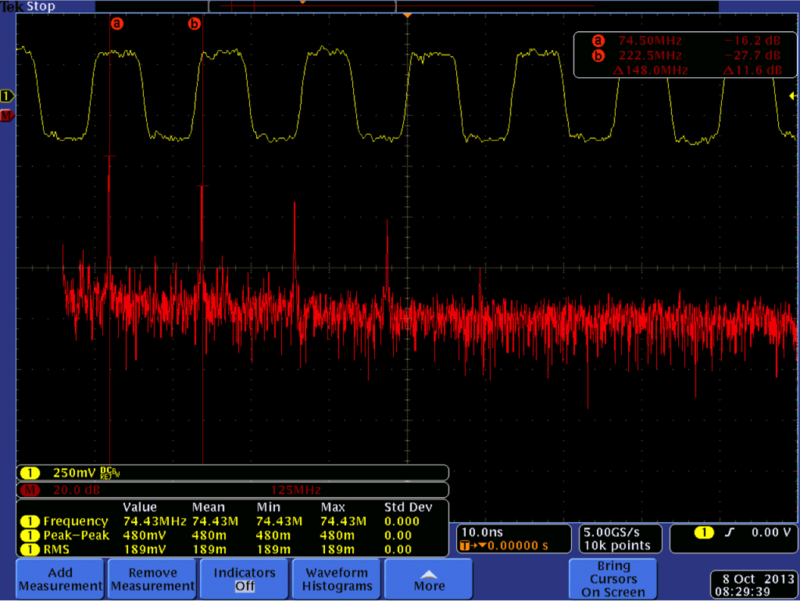 Signals are analysed with industry-standard Audio Precision testing and measurement equipment. We can offer audio certification with the help of our partners. Our measurement services include audio hardware, electro-acoustical and acoustic measurements. 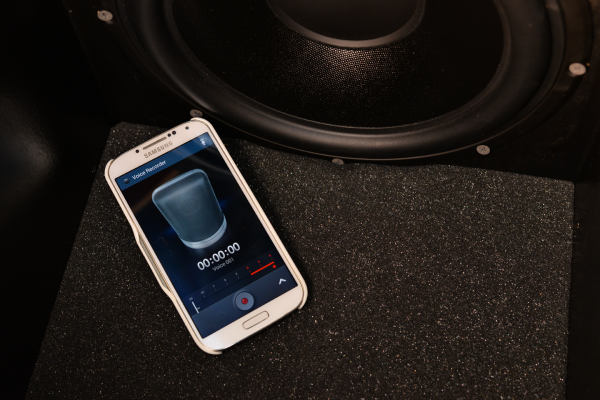 Speaker and microphone testing is performed in an anechoic chamber to minimise reflections and external disturbances. Company X had manufactured a control device that gave voice guidance prompts through an internal speaker. Soon they started to receive complaints that speech intelligibility was compromised due to low volume level and muffled sound. 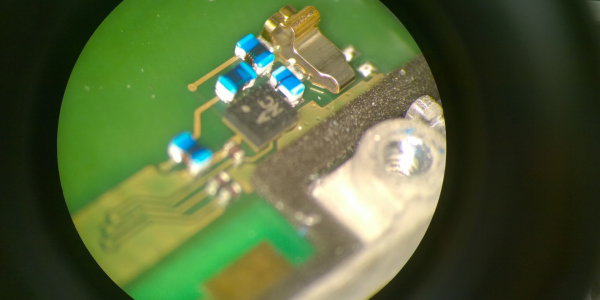 Our audio team was asked to engineer a fix that would not require any changes to the existing mechanical parts, speaker element or the exterior of the device. We performed a visual inspection that identified a design issue with mechanical integration that affected the sound quality of the speaker. 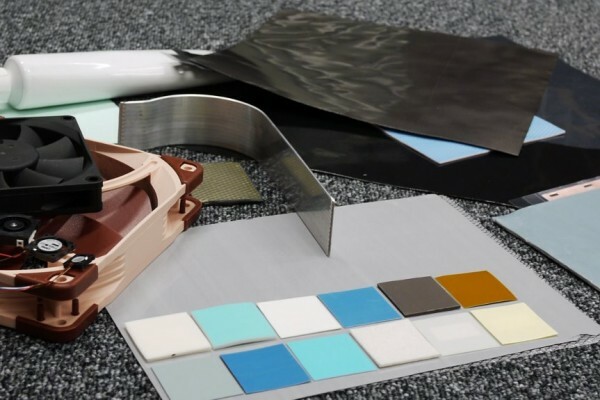 Acoustic measurements confirmed that an inexpensive and easily retrofitted gasket modification improved acoustical performance. Further measurements of the audio hardware revealed that the electrical signal was overdriven at high volume settings, heavily distorting the sound. We performed methodical gain planning in both analogue and digital domains to achieve optimal signal levels. A system architecture study revealed that the audio path included a modern audio codec with advanced DSP algorithms. Surprisingly, these algorithms were not being utilised. Their full potential was finally achieved after meticulous algorithm tuning and optimisation. As a result, the speaker volume levels was significantly improved. The tonal balance of the speech became more natural and the overall clarity stayed good even at the loudest volume setting. Subjective listening tests confirmed that we had successfully completed the assignment. Electromagnetic compatibility is the ability of a device to work as intended and not to disturb, or be disturbed by, other devices and the surrounding environment. EMC is an integral and mandatory part of our multidisciplinary design process. Our services are based on our broad, profound, cross-functional understanding of different industries in the EMC field. We want to be present in your design process right from the concepting work. Simulations are added to the design process whenever necessary, and our versatile modules and leading commercial tools mean we can offer a wide range of simulation applications, including shielding and grounding optimisation, radio receiver sensitivity, cross-coupling, PWB design signal integrity, and susceptibility to electrostatic discharge. Worldwide, there are different official or standards-based requirements that products must meet before they can enter the market. Europe has the CE mark, which means conformity with all the EU directives that the product needs to meet. Using our design and simulation services, your product development does not have to rely on trial and error and measuring several physical prototypes to ensure the conformity of the design. Critical failures can be identified and corrected before the first prototype design is created. The impact on the overall product development cost can be huge. Our standard EMC design services also cover schematics, layout, module and system design for EMC compliance. 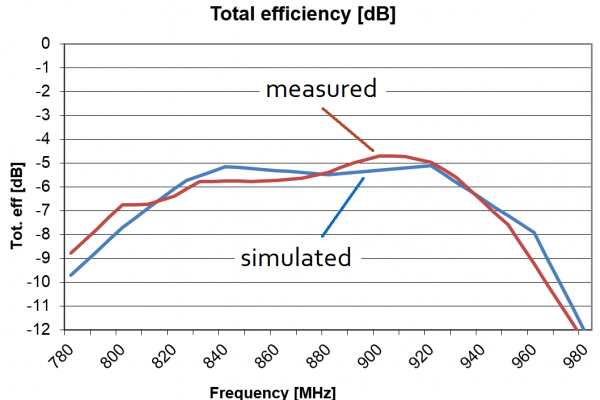 EMC Simulation of Spurious Radiated Emissions in the Case of GSM Transmission – Why and How? Communication through the GSM module created spurious radiated emissions (harmonics) exceeding the maximum allowed level. Explore the reason for the high level of spurious emissions. Environmental conditions, different use cases and statutory reliability tests place a wide range of requirements on mechanical structures. There can be all kinds of impacts, including accidental drops and collision with external objects. There can also be dust, moisture or even submerged conditions, vibrations and heat. All of these place tremendous demands on the durability of devices. Structural mechanics simulations offer a powerful tool to analyse mechanical performance and to optimise the design to endure extreme conditions and misuse situations. Convergentia’s mechanics team has experience of even the most complex structural mechanics simulations, from large machines to miniature mobile devices. We are experts at modelling complicated material behaviour, multi-part assemblies, complex mechanical interactions and varying load conditions. 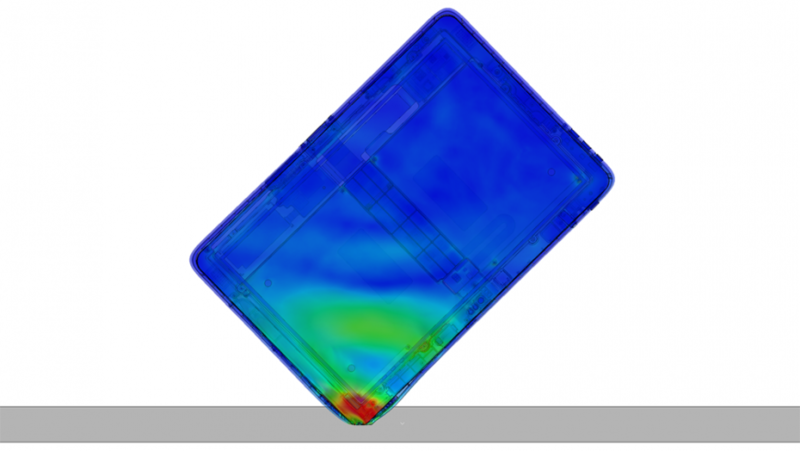 We use state-of-the-art simulation software from leading software companies, and we have testing tools and methods for developing material models to ensure physically realistic end-to-end structural analysis of your device. Ensure the mechanical quality and robustness of your product by using Convergentia’s virtual proving ground. Tablet undergoing extreme corner drop test. 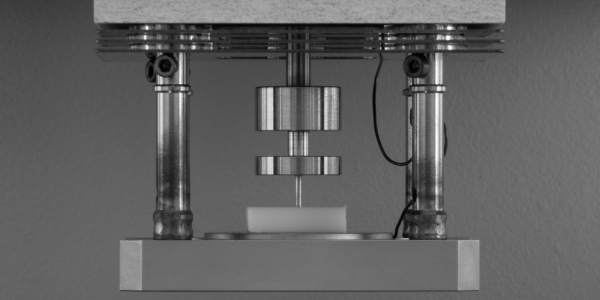 A product’s mechanical requirements can include drop testing, impact testing, ball drops, twisting and bending. 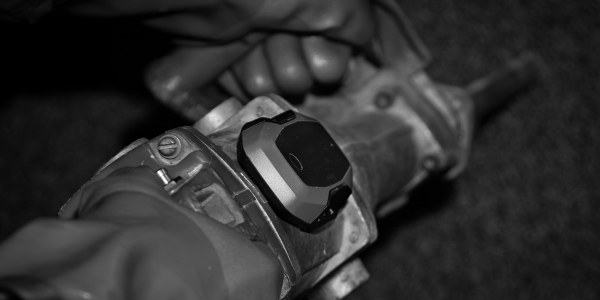 Different test scenarios are designed to encompass the probable usage of the device in the field. Why wait until prototypes are available and the often extensive test sequences are completed? Test results only provide a “pass or fail” outcome – they do not offer clear root causes for different failures. Design changes are made based on experience and often based on pure instinct. Even with educated guesses, we still have to wait until new prototypes are ready and tested. Simulations allow product requirements to be taken into account and solutions found at a very early stage – without prototypes. Different design scenarios can be tested virtually in parallel, enabling the best possible mechanical structure within the prevailing conditions. Wireless equipment is found in a huge variety of applications and environments. Mobile devices are no longer just phones or tablets; they are health measuring instruments, sports devices and devices without human interaction – sometimes just machines talking to each other. New applications and environments are placing increasing demands on the mechanical structures that protect sensitive communication and measuring electronics. The requirements for wireless measuring devices can be extremely harsh: dust, water, heat, impact, vibrations. 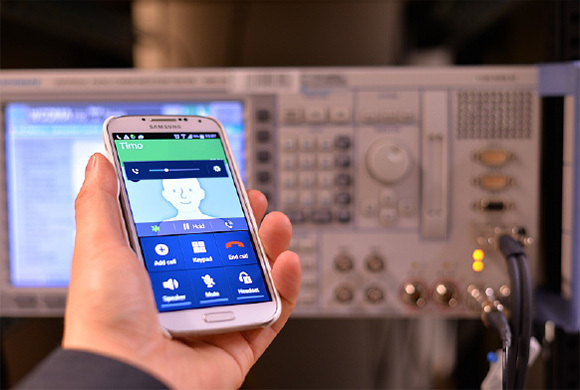 Smartphones and tablets have found applications in challenging industrial environments. Even consumer devices are advertised with industrial specifications such as IP category, the US military’s MIL-STD-810 standard and the ATEX rating. It is easy to imagine how time-consuming it is to design a rugged, waterproof protective mechanical construction just using experiments. It is much more effective to simulate the environmental conditions, make design modifications, and then verify device conformity through testing. Metals, polymers, elastomers, adhesives, composites – all kinds of materials and material combinations are used in mechanical constructions. Do we know how they behave in drop and impact conditions? How stiff and brittle do they become due to high strain rate or at low temperatures? What about the damping characteristics of the elastomer chosen to protect the touch panel or the circuit board? Structural simulations are not just a finite element mesh of mechanical parts with loadings and boundary conditions; physically realistic simulations require material models that can model nonlinear material behaviour completely, including strain rate and temperature effects. 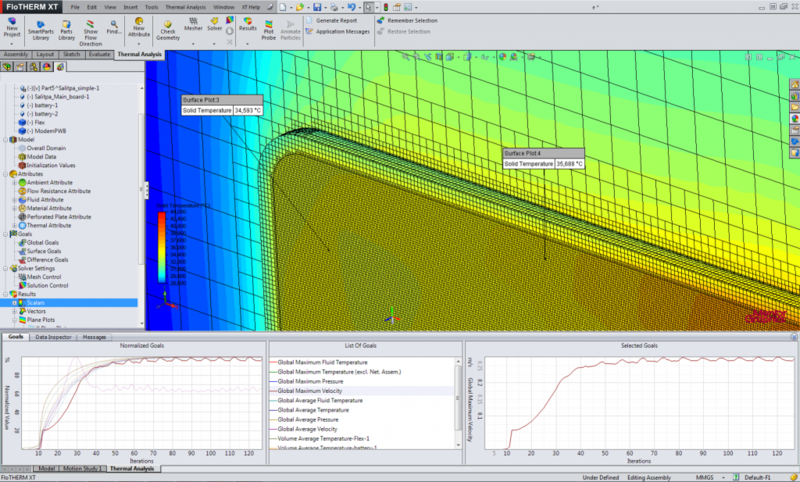 Material testing and material modelling capabilities are the backbone of our structural simulation offering. When it comes to the thermal design of large systems, miniature mobile devices or individual electronic components, Convergentia’s thermal team has solid knowledge of thermal design and simulation methods and materials, in addition to a profound understanding of design requirements related to user safety and comfort, device reliability and productisation. We use state-of-the-art thermal simulation tools, such as Flotherm, Flotherm XT and Icepak, which enable accurate temperature and air flow prediction for rapid evaluation of different design variations to speed up your design cycle. Computational fluid dynamics (CFD) is a technique for studying fluid flow, heat transfer and related phenomena using the mathematical equations which govern these processes. The equations are solved using numerical methods and powerful computers. 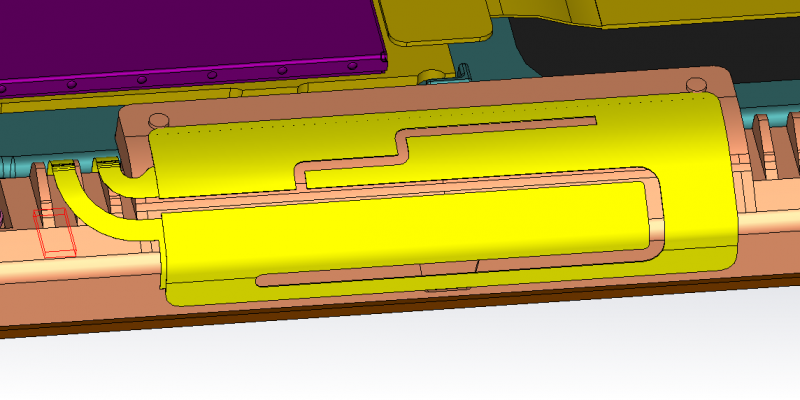 CFD analysis produces engineering field data (such as velocity, pressure and temperature distribution, distribution of stresses, gradients, etc.). 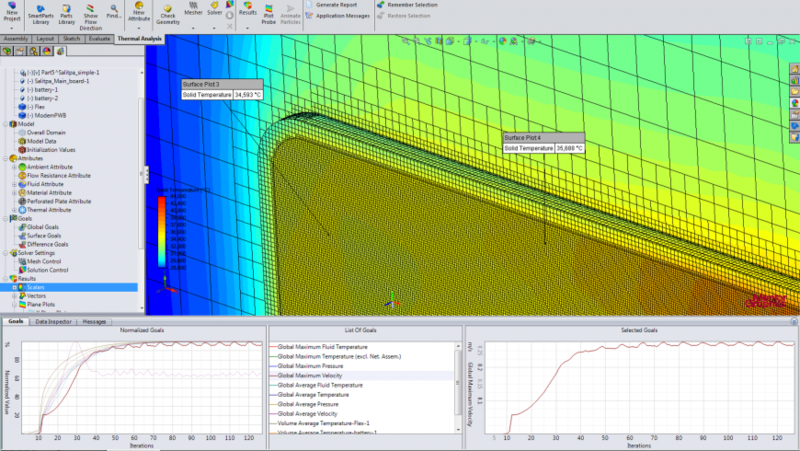 The results can be used to study new product and process designs, to troubleshoot existing designs and to compare performance. Our thermal team has worked on over 150 product concepts and has gathered a vast amount of experience of a wide variety of equipment along with novel cooling solutions. 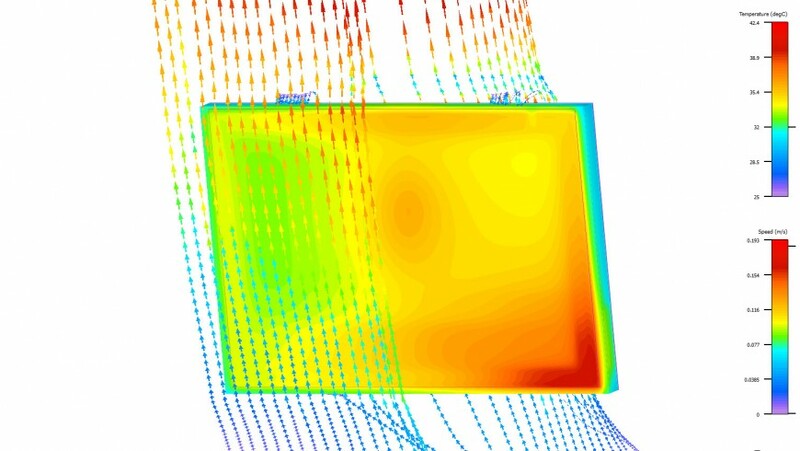 We use world-leading 3D computational fluid dynamics software that predicts airflow and heat transfer in and around electronic equipment, including the coupled effects of conduction, convection and radiation. In addition to simulations, we also have a fully featured laboratory to perform infra-red and thermocouple measurements. 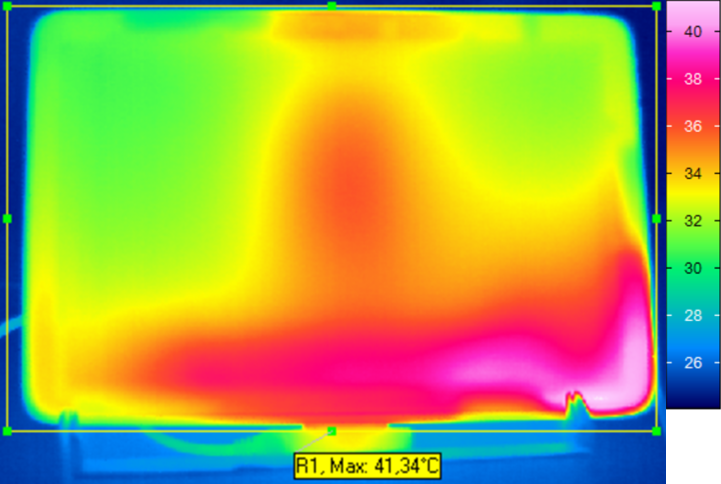 R&D house was designing a tablet product with a multi-core processor for educational institutes, and comfortable surface temperatures were one of the main concerns when concepting the device. Our team took the challenge and participated in the design process from the beginning of project. We specified the mechanical construction and materials to spread the heat as uniformly as possible, and thermal interface materials were also used to draw the heat away from the hottest components. 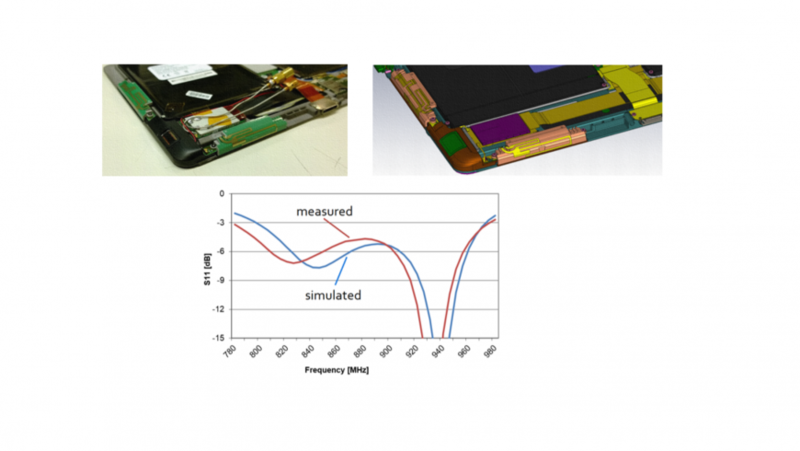 Our team used thermal simulation to optimise the design to meet the customer’s thermal comfort and safety requirements without compromising product antenna performance, weight and usability. 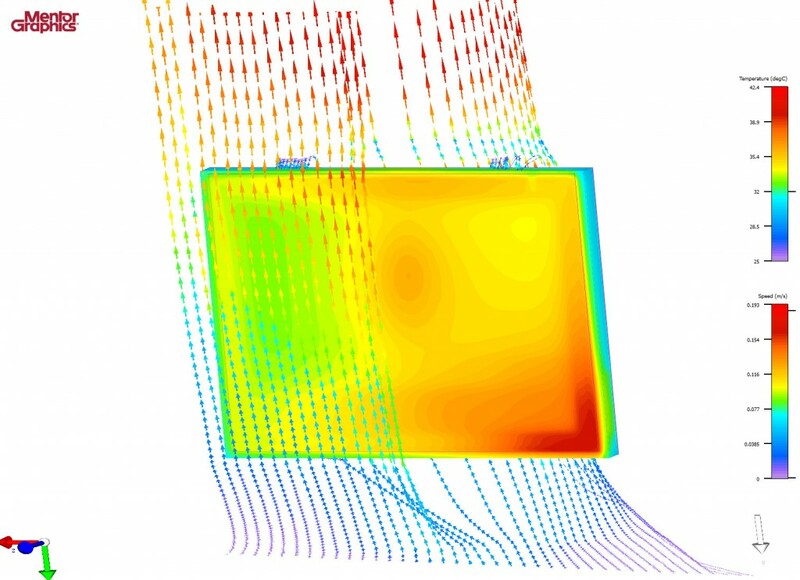 Our thermal lab verified the surface and components of the prototype and fine-tuned thermal control software to ensure end user and battery safety. In this case, surface temperatures were found to be within 1 °C of what was predicted in the simulations.